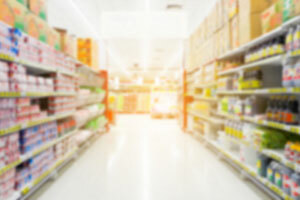 Our Lehigh Acres Publix accident lawyers at the Wolfson Law Firm can help you recover compensation you deserve for injuries sustained at Publix in Lehigh Acres. Depending on the facts of your accident Publix may be liable to pay for your damages. Under the Florida premises liability laws, Publix must provide reasonably safe shopping environment for the visitors and guests they invite inside and that is called a duty of care. It means that they need to take all the reasonable measures for preventing foreseeable injury-causing accidents. If Publix breaches this duty due to negligence, and that causes you injuries, Publix can be held accountable. However, you shouldn't expect that Publix will gladly hand you money to compensate you fairly. They would likely deny the accident or the reasons for the accident. Finally, if they can't escape the logical conclusion of responsibility, then, like other defendants, they may try to delay the compensation endlessly. That's why you should call us and let us help. We have handled cases against Publix and other supermarkets in Florida since 1963. Call us at 239-777-9954 for your free consultation. You won't pay fees unless we recover for you. Lehigh Acres is located on the left side of the State Road 82 when you drive to the east of Fort Myers. It is the largest Fort Myers suburb and is surrounded by other suburbs, including Gateway, Alva, Olga, Cape Coral and Buckingham. Publix Supermarket at Crossroads Shopping Center, 5781 Lee Blvd, Lehigh Acres, FL 33971. Publix is a quite popular supermarket chain due, in part, to the fact that it's employee-owned. For now, they operate only in south-eastern parts of the United States. Most of their stores are in Florida, while the others are in Georgia, Alabama, South Carolina, North Carolina, Tennessee, and Virginia. Finding the best Fort Myers personal injury attorney can make the difference between successful compensation and unsuccessful one. Publix and their insurance company would love to see you trying to recover financially by yourself, but that’s not what you want and what you need. You will always be better off speaking with a Fort Myers Publix lawyer – for free – before accepting any nominal, nuisance value offer form Publix following your Lehigh Acres Publix accident. Call our Lehigh Acres Publix accident lawyers at the Wolfson Law Firm and allow us the opportunity to work with you. Call us at 239-777-9954 for free consultations. We handle personal injury cases on a contingency basis, so you'll pay nothing unless we recover for you.